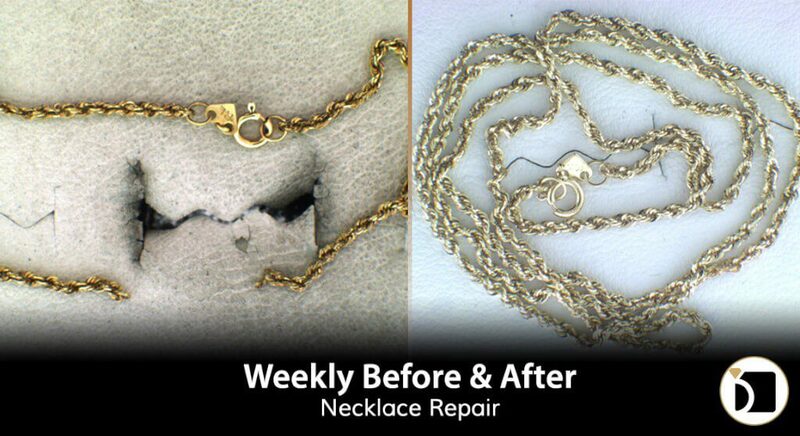 On this edition of the Weekly Before & After, we have a 10k hollow rope gold chain that had had broken apart in several areas. For this repair our Master Jewelers had to perform an Advanced Level of Chain Repair as the item was hollow, and could easily be ruined. Once the chain was fixed, it is wrapped up with our professional clean and polish and it looks as good as new!